The 2019 MLB season rolls on with 10 games on Monday’s MLB schedule, including marquee early-season matchups between postseason hopefuls like Mets vs. Phillies, Cardinals vs. Brewers and Indians vs. Mariners. With big-name pitchers like Noah Syndergaard, Clayton Kershaw and Yu Darvish expected to take the mound, and an impressive group of hitters including Bryce Harper, Cody Bellinger and Javier Baez available, MLB DFS players have plenty of tough choices to make. Before entering any MLB DFS cash games or tournaments like the $125K MLB Rally on FanDuel or $300K Mini Tape-Measure Home run on DraftKings, see what SportsLine’s Mike McClure has to say. He has almost $2 million in career winnings as a professional DFS player, and his top MLB DFS picks, optimal lineups and advice can help you crush on Monday. When it comes to MLB, McClure is at his best. Recognized in the book “Fantasy Football (and Baseball) for Smart People: How to Turn Your Hobby into a Fortune” as a top MLB DFS player, McClure rolled through last season, producing multiple lineups that cashed in huge. On Sunday, McClure recommended Marlins pitcher Jose Urena at just $5,800 on FanDuel. The result: He gave up just one earned run over seven innings and struck out seven, returning 43 points and over 7x value. Anybody who had him in their lineup was well on their way to a huge day. Now, he’s set his sights on Monday’s MLB DFS slates and locked in his picks. You can only see them at SportsLine. 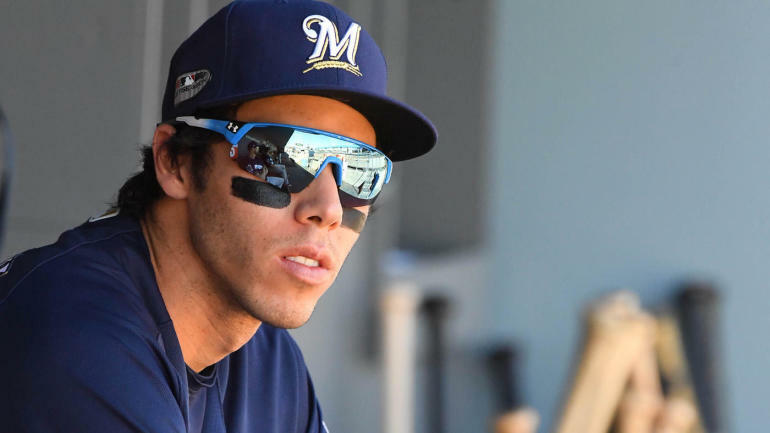 One of the top MLB DFS picks for Monday that McClure is eyeing is Brewers outfielder Christian Yelich at $4,800 on FanDuel and $5,400 on DraftKings. The 2018 NL MVP is off to a blistering start with a .328 average, five home runs and 15 RBIs. He’ll have a chance to improve those numbers on Monday as the Brewers take on Dakota Hudson and the St. Louis Cardinals. Yelich was 1-for-3 with a home run against Hudson in their first meeting this season, so confidently lock him in and look for him to exploit this matchup again. Part of McClure’s optimal MLB DFS strategy for Monday also includes targeting Rangers outfielder Joey Gallo ($4,100 on FanDuel, $4,900 on DraftKings), who has returned over 5x value on FanDuel four times this month. Gallo takes on the Angels, a team he teed off against the first time they played. In a three-game series earlier this month against Los Angeles, Gallo his three home runs and recorded six RBIs. He’s a steal at under $5,000 on both sites, so confidently lock him in as one of your top MLB DFS value picks for Monday. McClure is also targeting a player capable of putting up massive numbers who has a dream matchup on Monday. The stars are aligning for him to put up 20, even 30 points on both sites, and he comes at a lower price than you’d expect. The pick could be the difference between cashing in big or going home with nothing. So what are the optimal MLB DFS lineups for Monday? Visit SportsLine right now to see DFS millionaire Mike McClure’s complete optimal tournament lineups for FanDuel and DraftKings, and cash in big on MLB DFS.